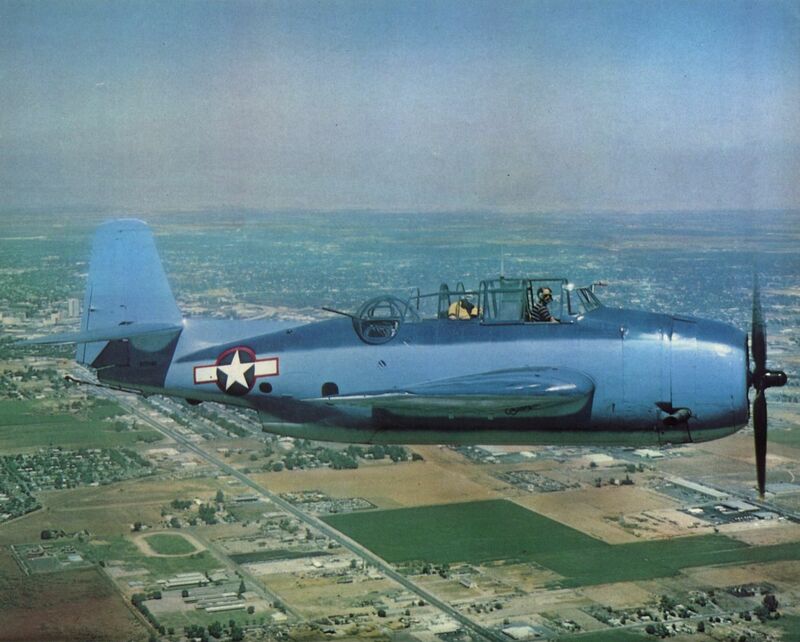 Mike DeMartino poses the Grumman TBM Avenger from the Planes of Fame Museum for Ron Burda during the Fresno Warbird gathering, September 1976. The TBF had a weapons bay sufficiently large to carry a torpedo or a 2,000 lb bomb. A TBF-1 displays its unique lines. 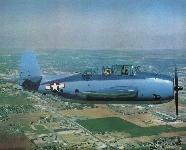 First flown in prototype form on August 1, 1941, the first production aircraft was rolled out in January 1942. 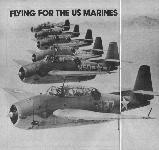 A formation of seven TBF Avengers. Standard armament consisted of one 0.50 in gun in the turret, a forward firing 0.50 in gun in the engine cowling and a 0.30 in tunnel gun. 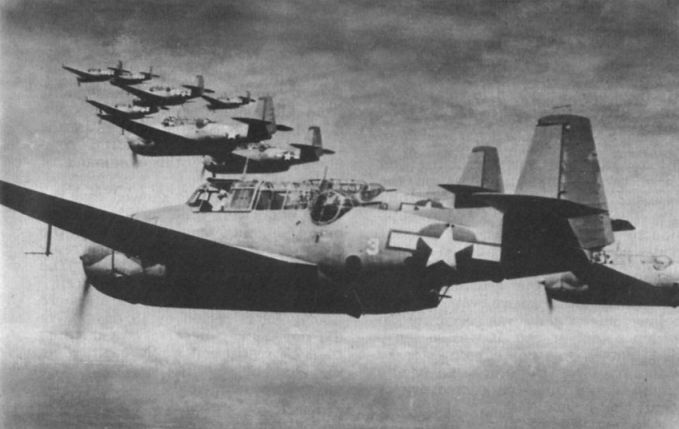 A formation of US Navy TBMs sets out from its carrier base. The type continued in Navy service for many years after the war. The TBM-1C was produced by General Motors Corporation’s Eastern Aircraft Division, who built 2,882 TBM-1s and variants. A TBF showing the thirteen horizontal red and white rudder stripes and overall camouflage scheme in use from January 5, 1942, until changed in May of the same year. The red centres of the stars were deleted soon after to avoid confusion with the Japanese "meatball”. 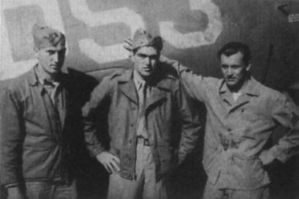 The author, centre, at El Toro in 1943, with radioman Sgt Arthur Wood, left, and turret gunner Sgt Robert Pearson. Note two-foot-high fuselage code letters.